Universal Serial Bus or USB is the current trend which is used nowadays for connecting external devices or peripherals to personal desktop systems. Even laptop systems are making use of this new connection because of its mobility nature. It is very simple to carry everywhere. It is also easy to handle it and store and remove files in it. The following suggestions help you in using USB with your laptop effectively in a more useful manner. Locate the USB port on your laptop system. The USB port is a small opening is approximately 1/2 inch wide and 1/8 inch thick. 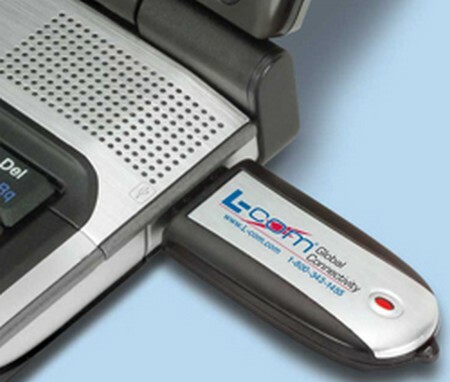 Your system may be equipped with two or more USB modem ports placed closely together. First, whether the length of the USB cable is long enough to join the laptop and the USB. Most of the hardware stores and computer shops are selling the USB cord for low prices. Plug one end of the USB cable into the USB and other into system. If you haven’t seen the USB port earlier, just make use of the manual provided for you to search for that port. Then plug the other end of the cable into the USB port on your laptop. The ends of the USB cable generally have a design stamped on the side that faces up. See if your operating system recognizes the new hardware which is connected via a USB cable. Shutdown and reboot your computer if the operating system did not recognize the new hardware. Place the installation disk in the proper drive. If the installation program doesn’t start automatically, navigate to the drive and click on “Setup.” Follow the onscreen instructions for setting up your operations. Properly connect the USB device in to your laptop so that you can transfer files from laptop to USB and vice versa. It is also used to backup your important files after your work for carrying it safely. You can also store some more important files and carry them along with you. You can also put password to them to keep them safely. There is a regular method to connect USB with external devices to systems. Likewise, there is also a good method to remove them safely from the laptop system. Once you have completed your tasks, just like that you cannot unplug your USB. Following that procedure would cause damage to your laptop. Hence you should follow a proper way to remove it from your laptop. To remove, just click on the icon of USB once on the taskbar. It will show a message like ‘Safely Remove Hardware’. If you get that message then you can safely remove your USB from the laptop. Once you pull it out the message will disappear.